The gopher apple (Geobalanus oblongifolius) is a native ground cover. Ground oak is another common name. 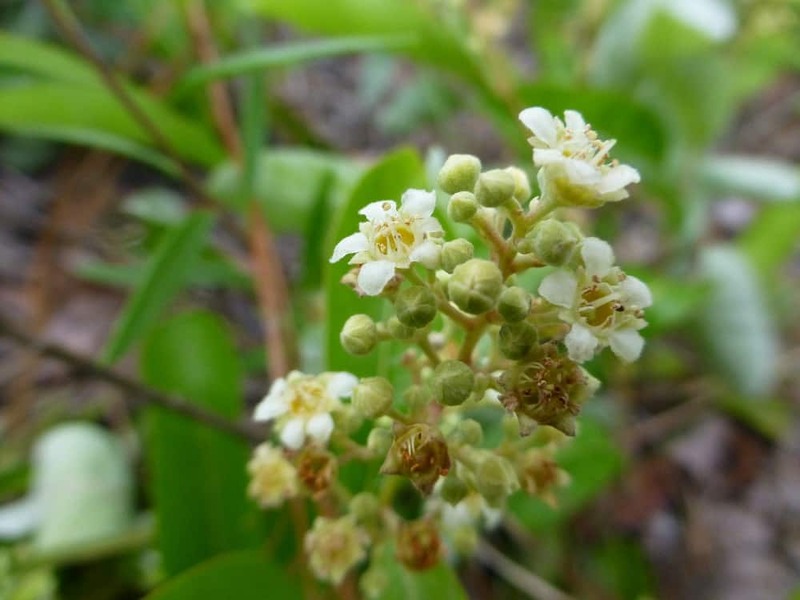 It is currently found in the family Chrysobalanaceae which makes it a relative of the coco plum. However, it was once considered to be in the Rosaceae family along with plums and cherries. Gopher apple spreads by its primary stems. The primary stems of the plant grow underground, creeping and spreading to form a ground cover. When branchlets from the primary stems do reach above the ground they only grow three to twelve inches in height. It is a slow grower, but is drought tolerant once established. 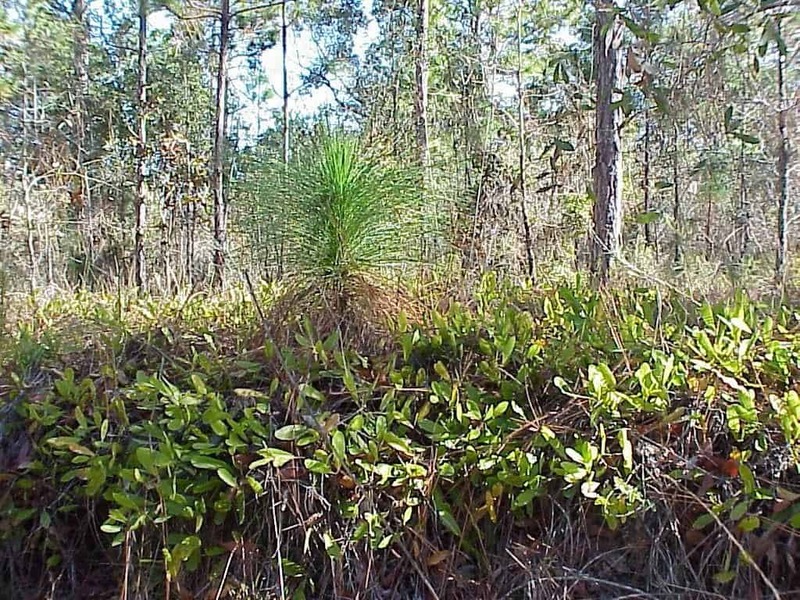 In Central and North Florida it is generally semi-evergreen. However the foliage is evergreen in southern Florida. The leaves grow alternately and resemble a narrow oak leaf. Leaf sizes vary from one and a half inches to four inches in length. A waxy cuticle on the upper surface of the leaves gives them a glossy appearance, as well as tolerance to extreme drought. 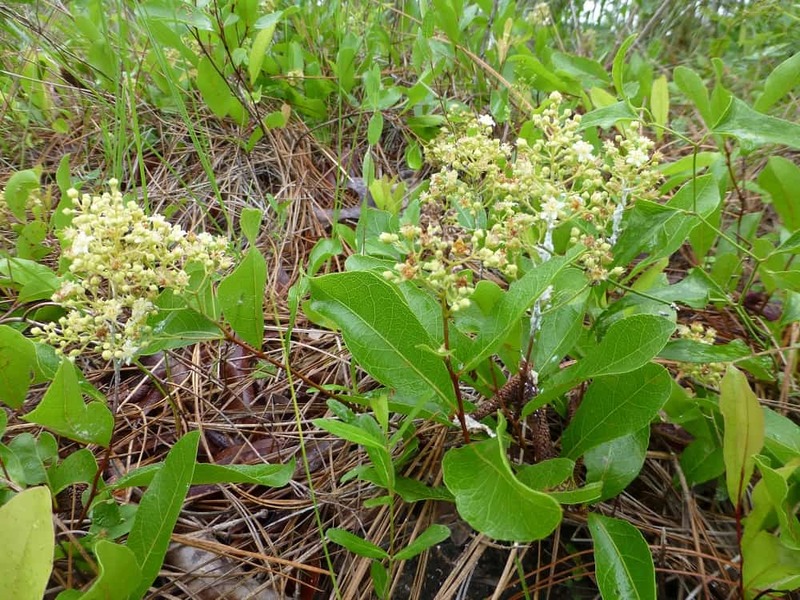 Its blooms are clusters of small yellowish-white to greenish-white flowers that appear in May and June. The fruit, when ripe, is an ivory color with tinges of red or purple. It is oval in shape, up to one inch in length, and contains a single pit. The fruit is sought after by many animals including the gopher tortoise. Humans also consume the fruit, but they are usually difficult to find because the tortoises, raccoons, opossums, foxes and other animals eat them quickly. Some people find them unpalatable and relate the smell to the aroma of a new plastic shower curtain. 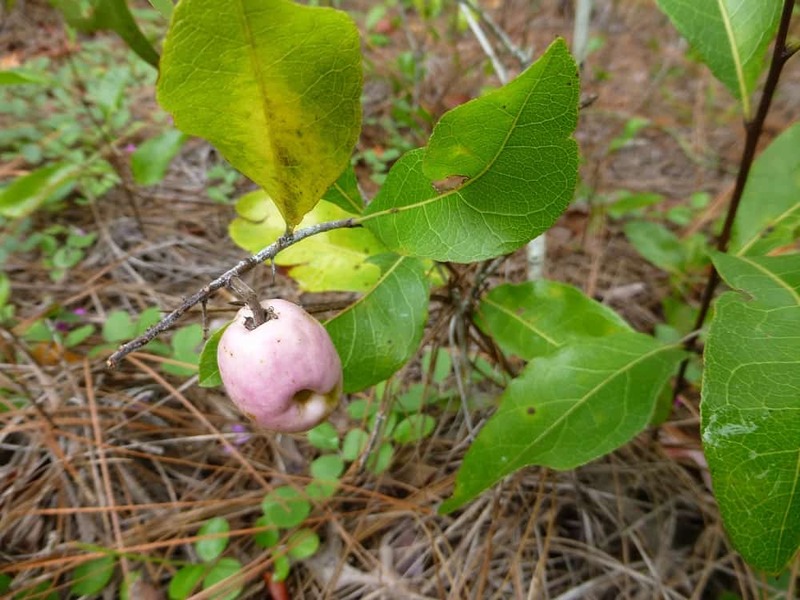 Gopher apple is an often overlooked ground cover of sandhills, scrub, coastal dunes and high pine ecosystems of Florida. It is also found in Georgia and Mississippi. It thrives in barren soil, in full sun, from acid scrub habitat to alkaline beach dune habitat. Bees, flies & wasps use the flowers for nectar and the fruit is an important wildlife food. In the landscape it grows in shade to full sun with moist or dry, sandy or organic soils. Be patient if you are planting seedlings or potted specimens as it takes time to get established. It is extremely difficult to transplant, and equally difficult to produce root cuttings. The best chance at propagation is through seed. Seeds should be planted on site at the depth of 2 inches. 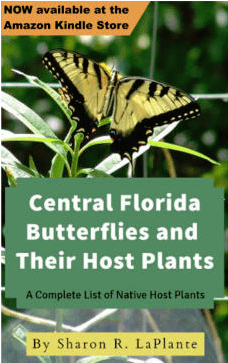 It is occasionally available in native plant nurseries in our area.